It's never too early to think about fun treats to create for Halloween. Today we want to share some inspiring options for creating Halloween Treats! Today's video will give you Halloween treat inspiration. Stephanie shares some cute projects designed by Creative Team Member Keeway. Watch the video below or click here (MFT August Release Class - Spooky Treat Bags) to watch it on YouTube. Don't forget to subscribe to our YouTube channel so that you don't miss a single tutorial! Let's take a look at few more examples of Halloween treats that you can create! Barbara used a papier mâché coffin box that she's had in her stash for awhile to create this super fun treat container. The Frightful Friends stamp set dresses it up so nicely! I love the spooky vellum clouds. 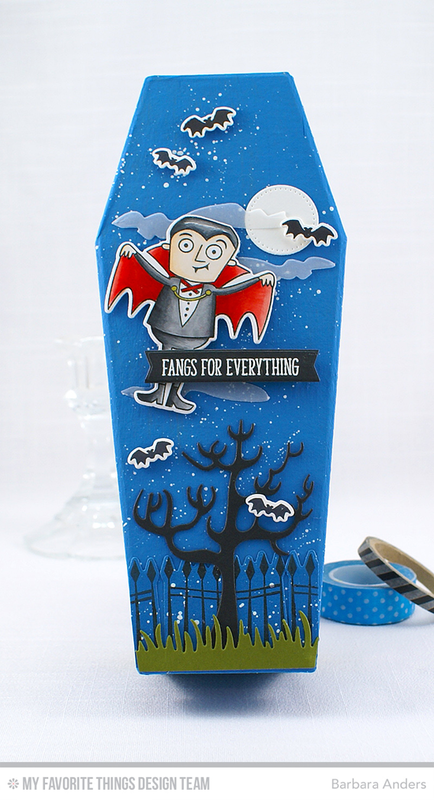 Julie keeps it simple with various colors of card stock, a tag from our Tag Talk Die-namics, and cute sentiments and images from the Frightfully Fun Halloween stamp set and Die-namics. 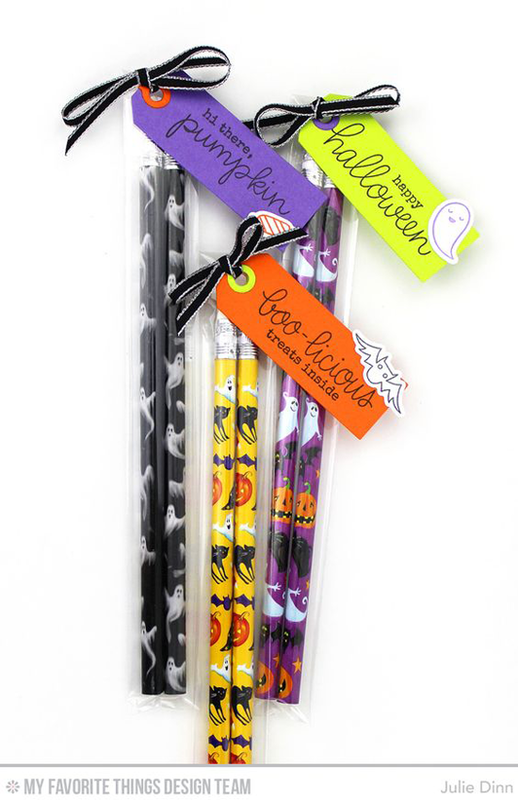 And pencils are a fun option to candy! 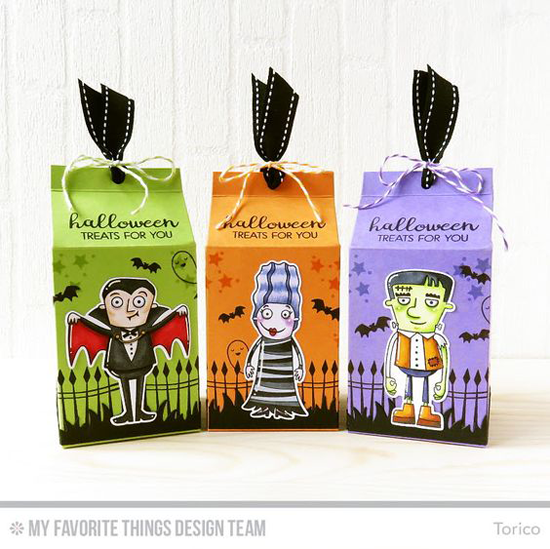 Torico created three SUPER cute milk carton treat boxes with three stamp sets from My Favorite Things - Frightful Friends, Frightfully Fun Halloween, and Spooky Sweets. You can go HERE to see how she created the milk cartons. She shares a great template for cutting, scoring, and assembling. You will LOVE creating cute and memorable Halloween treats with products from My Favorite Things. Be sure to tag #mftstamps when you post your projects online. We can't wait to see what you've made! Fun treats. Love the cookie bag.